Keep up to date with the latest news on Guy’s Explorers’ Grand Slam Challenge here. 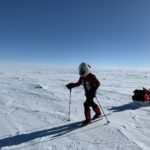 I am delighted to let you all know that Guy made it to the South Pole on Sunday, 13 Jan 2019. They had great conditions for the last day of skiing, and everyone is in good spirits. 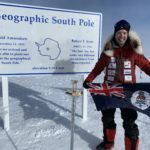 Listen to Guy’s voice blog from the South Pole here. Day 7 update – only 6 nautical miles to go! Guy’s group is down from 9 to 6, but the US base camp is within sight and only about 6 nautical miles away. Find out more by listening to Guy’s latest voice blog here. Guy only has about 20 miles left to go! Listen to his Friday, 11 Jan update here. It’s day 5 on the ice and absolutely freezing! Hear about how Guy is getting on by listening to his latest voice blog here. Guy is currently on day 4 of his ski expedition and averaging about 9.5 miles a day. Hear about how he is getting on by listening to his latest voice blog here. Guy has finally made it to 89 degrees south and is about to start the ski expedition. They have experienced a sharp increase in elevation, so are just acclimatising today. It’s also -27C, but I guess that is what he signed up for! Hear more from Guy by listening to his latest voice blog here. Due to weather Guy was unable to depart Union Glacier Camp today, but things are looking hopeful for tomorrow. See how Guy is passing the time and listen to his latest voice blog here. 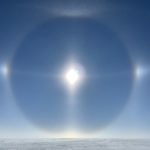 Guy has finally arrived in Antarctica and is currently at Union Glacier Camp. Listen to his latest voice blog here.